Ok, where was I before all this travel and competition? Oh yeah, practicing for competitions. For Oinktoberfest, we had to turn in a Chowder entry. 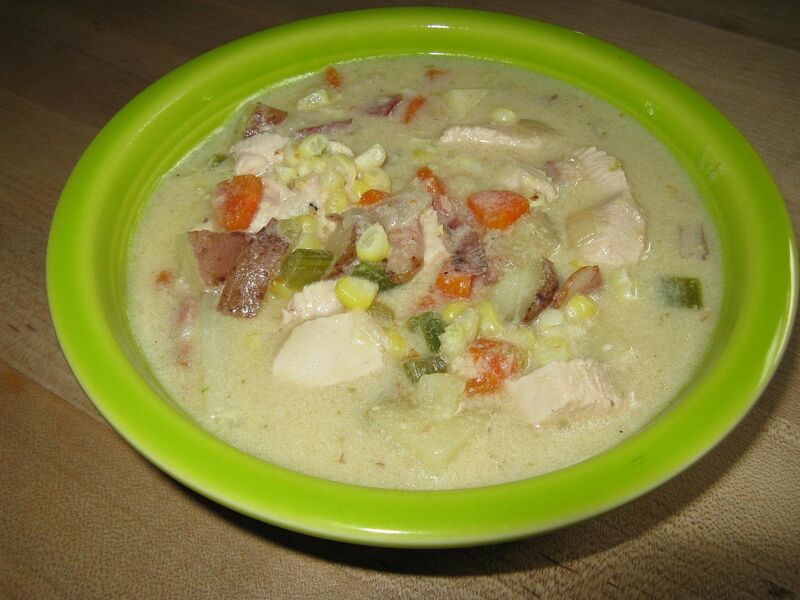 We decided to make our tasty Chicken Bacon Corn Chowder with Cheddar Cheese and Jalapeno Pepper. This is a great soup that is easy to make either full fat or low fat. For competition we made the full fat version. At home, we make the low fat version and we do not think it is missing anything. 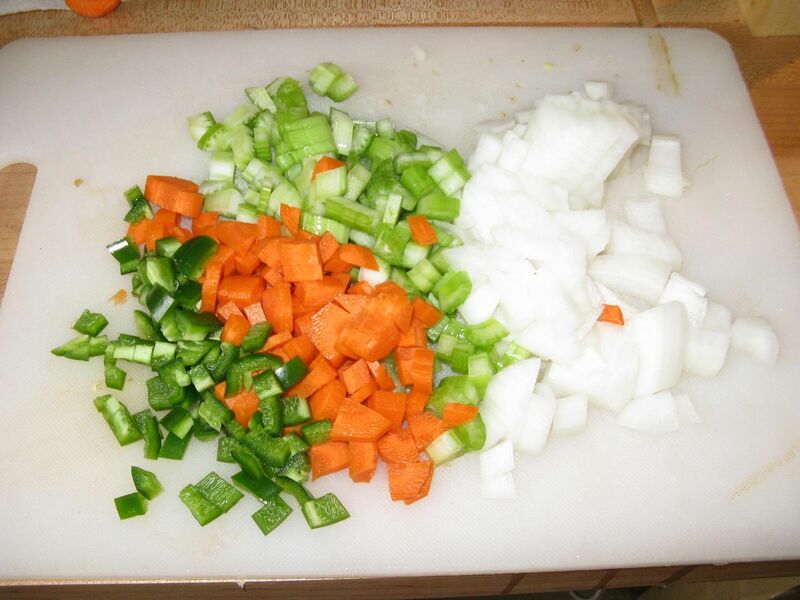 First, in a rough dice, make your basic mirepoix, plus jalapeno, seeded. You can keep the seeds for extra heat. 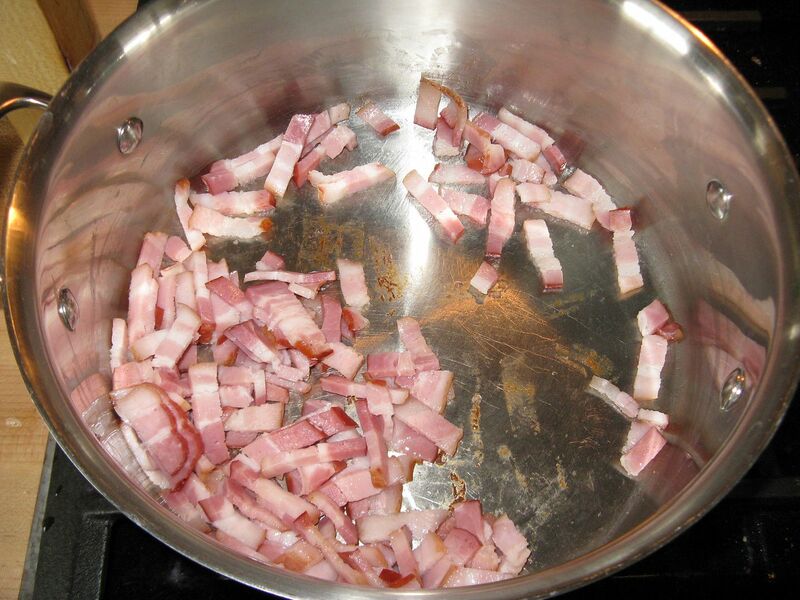 Next, I cooked four slices of bacon that were roughly diced. 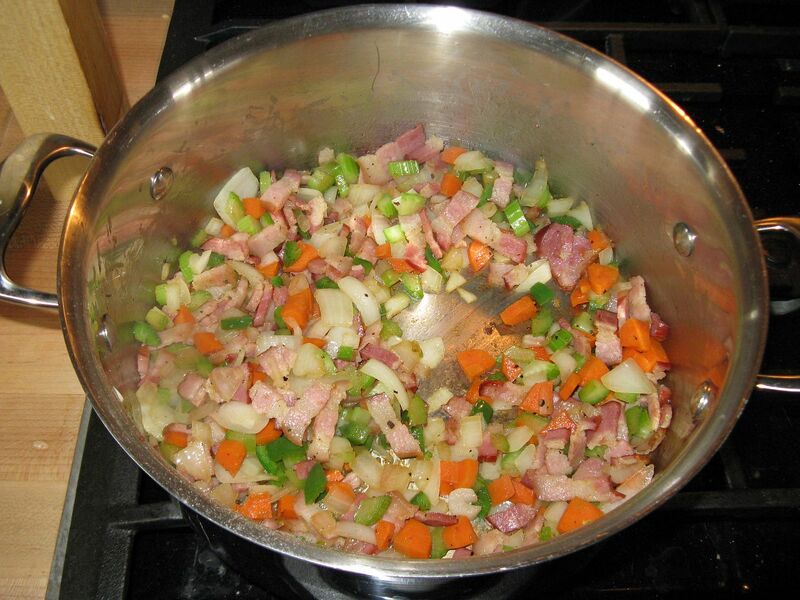 Once the bacon was starting to crisp slightly, I added my mirepoix, along with a healthy grind of sea salt and pepper. I cooked until the onions started to become translucent. Then, I added 1/2 cup of flour and cooked an medium heat until the flour was starting to brown. It is very important to stir constantly during this step so that the flour does not burn. Once the flour had browned, I added two cans of chicken broth, brought to a boil, and allowed to simmer for 30 minutes. 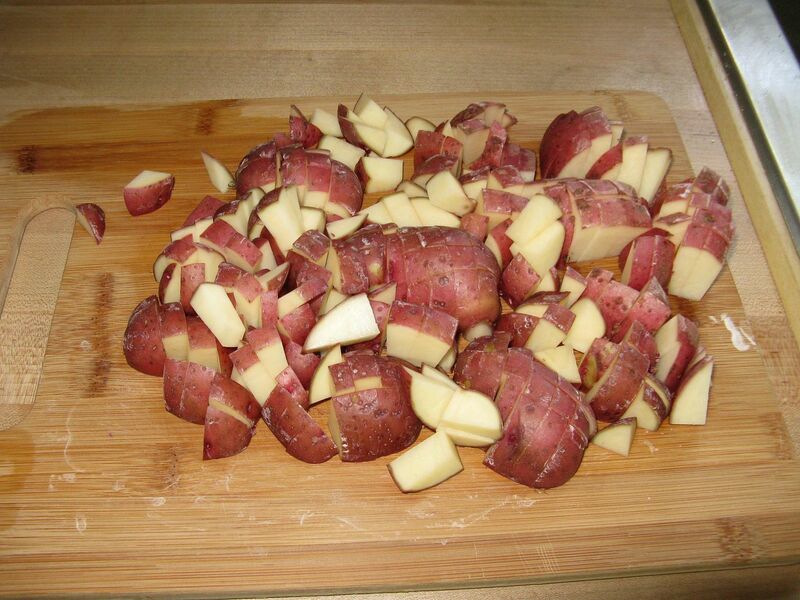 After 30 minutes of simmer time, I added the potatoes and simmered for 15 minutes. 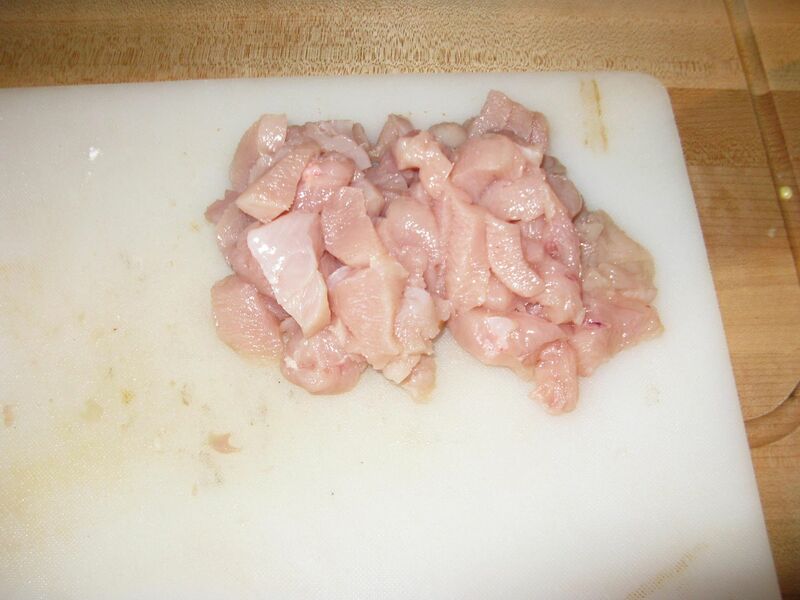 Then I added the chicken and allowed to simmer for 20 more minutes. 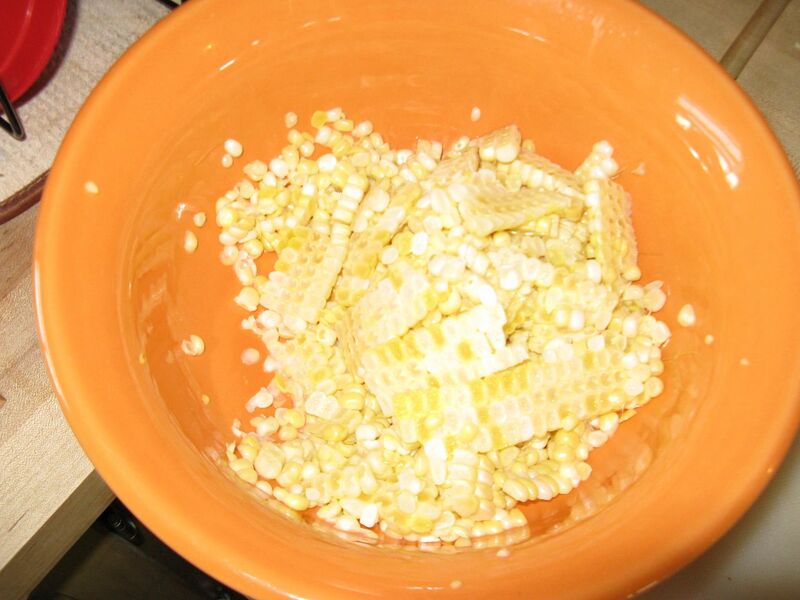 Finally, I added the corn, one cup of half and half, and 1 cup of shredded cheese. I brought back to a light simmer and stirred until incorporated. Creamy with a slight hint of spice from the jalapeno. The fresh corn makes this chowder with a sweet crunch, along with a slight smoky flavor from the bacon. This is a winner of a chowder. I can't wait to make this when it gets a little colder. Here is what it looked like at Oinktoberfest turn-in time. We scored a 14 out of 17 with a 162.2628. How do you score chowder in a cup for appearance? Anyway, other teams were loading up with sausage type chowders. 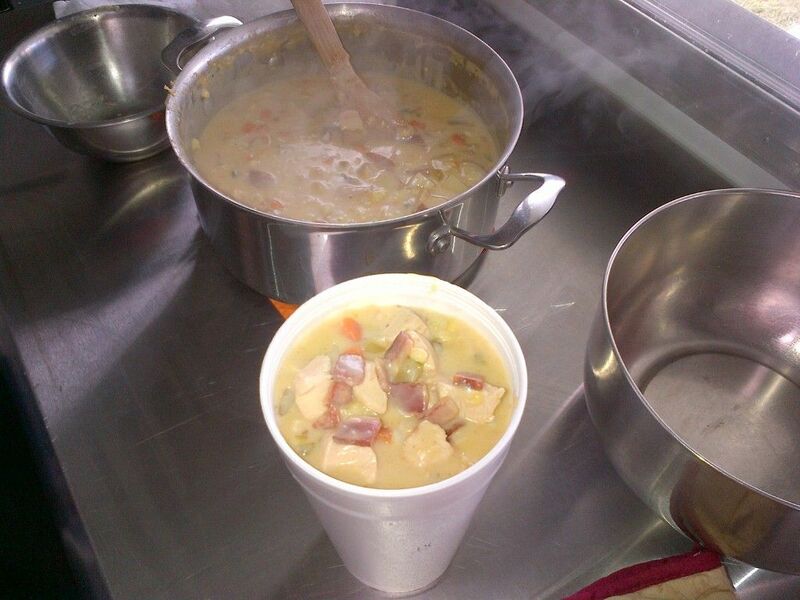 I will need to change to a sausage base if we plan on entering a chowder competition again. I find auxillary categories are hard to judge. That soup sounds fantastic.Have you considered a hollowed out bread loaf? Also a sprig of parsley and a sprinkle of cayenne for garnish? I may love that soup but the judge next to me loves tomato based soups. That is tough. Chilebrown, I like the bread bowl idea, but we were restricted to the container for turn in. Cayenne and parsley would have worked for individual turn in containers. I will try that the next time I make this.